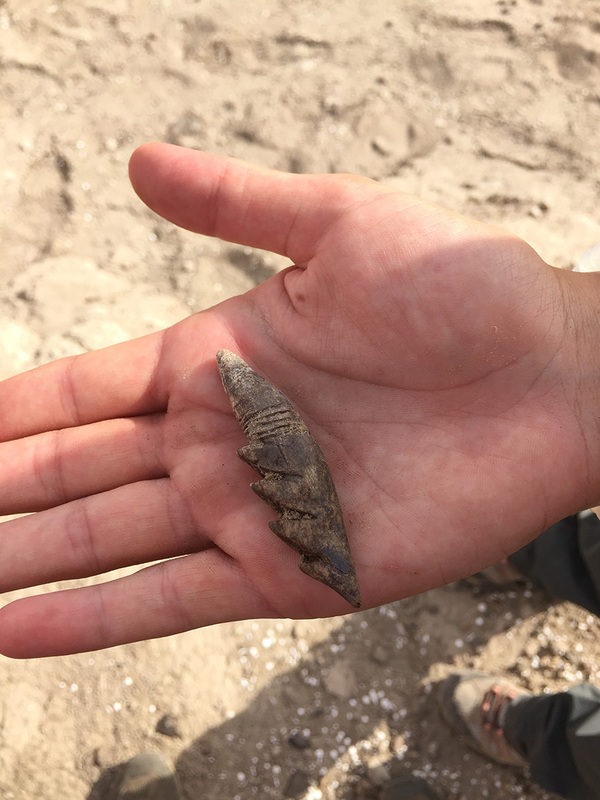 In the last 100,000 years, human behavior evolved to a lifestyle with trading, burying their deceased, fishing, more cooked food, and the creation of figurative art and better-made tools. 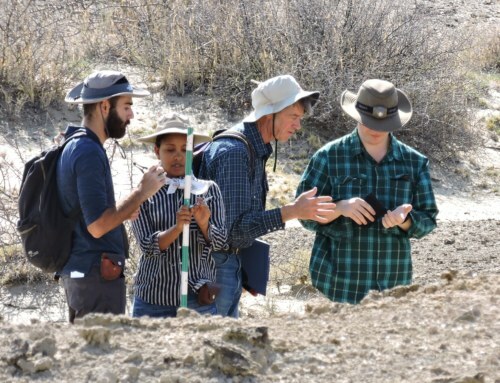 At the end of the last glacial period (~11,700 years ago), humans were adjusting to changing environments from an overall shift in global climate. During this, human activity changed from hunting and gathering to a sedentary lifestyle with agriculture then domestication of animals. 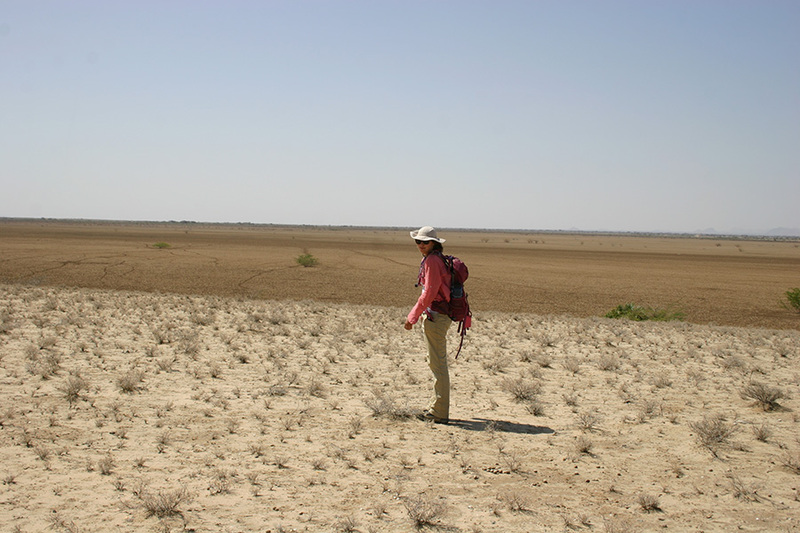 At the beginning of the Holocene (11,700 years ago), the Turkana Basin and much of northern Africa experienced an extended period (up to 10,000 years) with seasonally high rainfall. 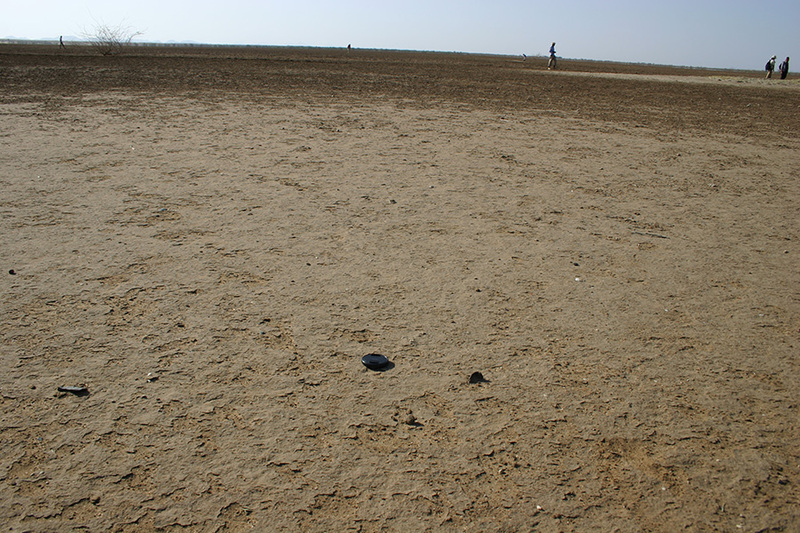 The monsoon system had intensified due to an increase in solar insolation attributed to the natural movement of the Earth with respect to the sun. This time was called the African Humid Period (AHP) and resulted in large lakes occurring in what is now the Sahara desert and overflowing lakes in East Africa. 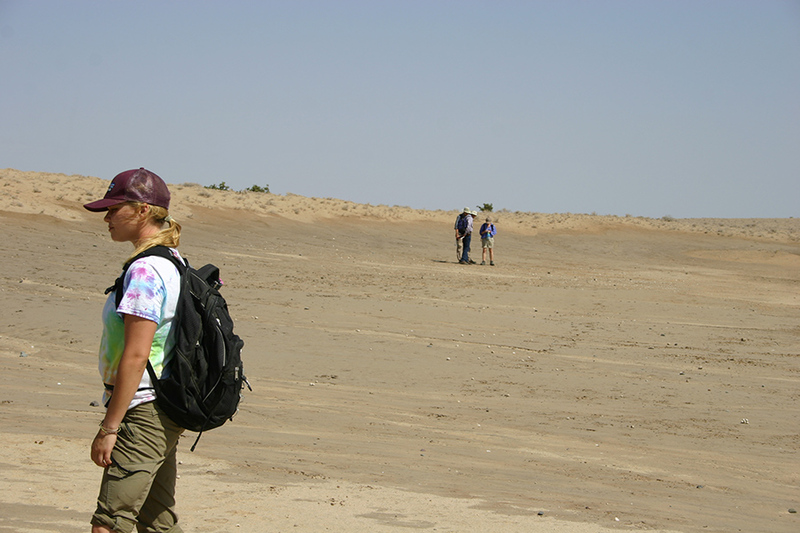 In addition to lake expansion, new areas and pathways with water formed that allowed modern humans to move away from major river valleys. 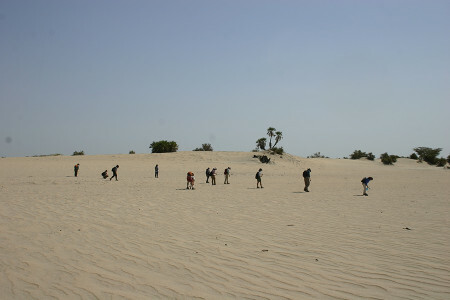 However, at the end of the African Humid Period, arid conditions resumed. 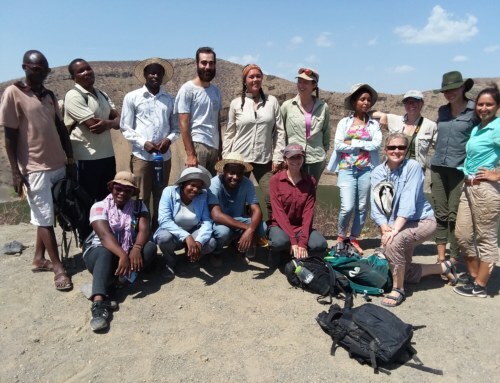 For archaeology, the Turkana Basin was an ideal location to explore because it acts as a passageway between the rift valleys of East Africa and the Sudan and Nile valleys. 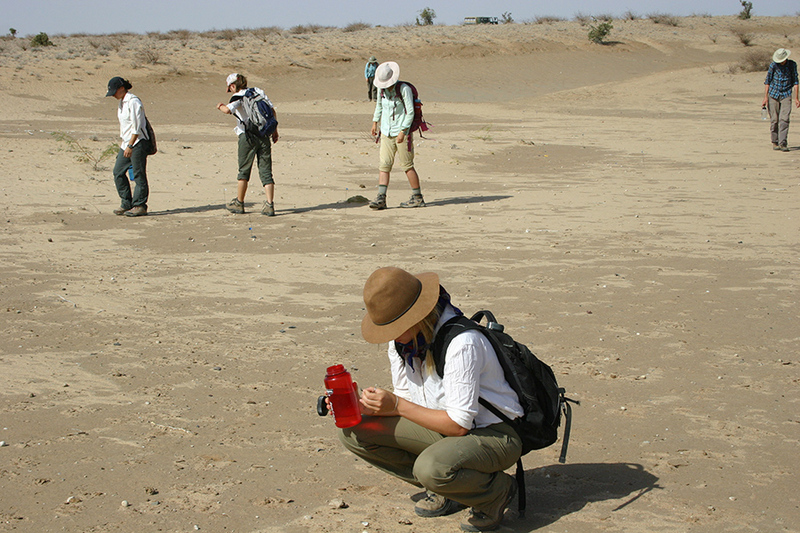 During the early Holocene, Lake Turkana expanded and overflowed into the Nile drainage basin. 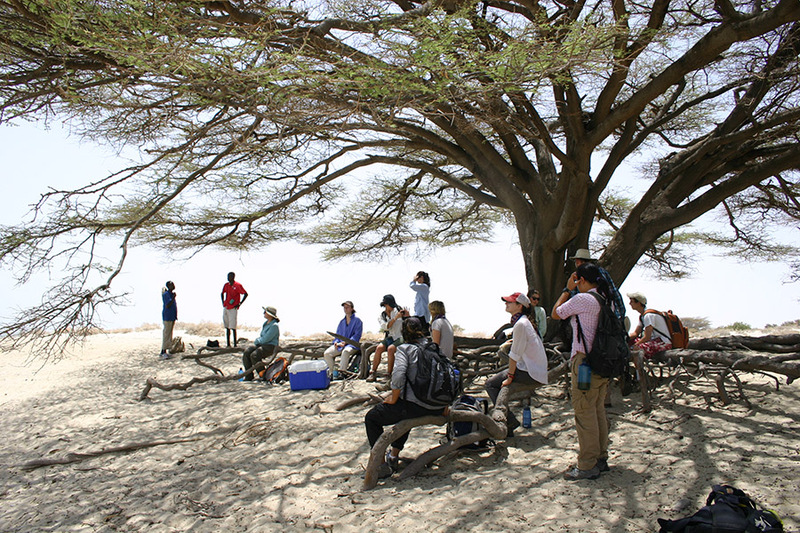 Today, occupation sites can be found up to 90 meters above present day levels and tens of kilometers inland from the modern shoreline. 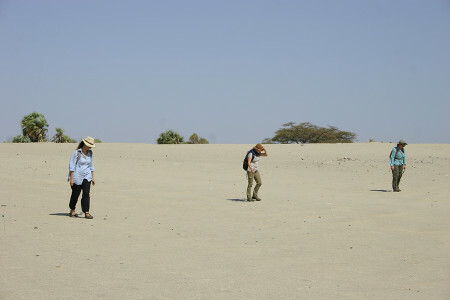 The culture during this time appeared to focus on lake based on numerous barbed bone harpoon points and aquatic bone remains (tortoise, crocodile, but predominantly fish). 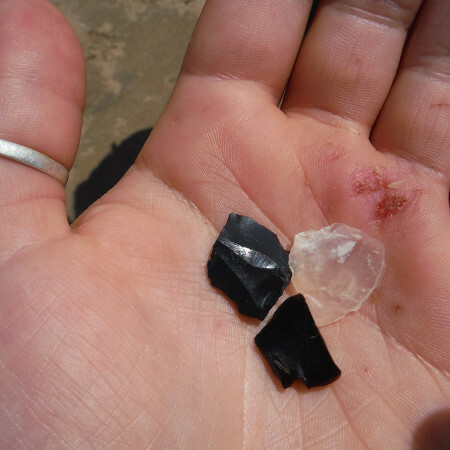 In addition, wavy-line pottery shards and Later Stone Age microliths have been uncovered. 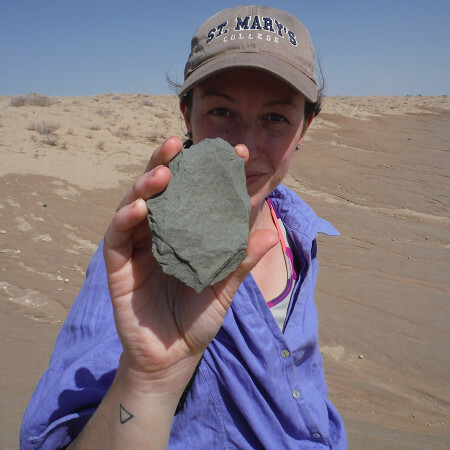 Furthermore, harpoon points and wavy-line pottery are quite similar to artifacts found in the Sahara and Sudan and indicate migration to and from the Turkana Basin. 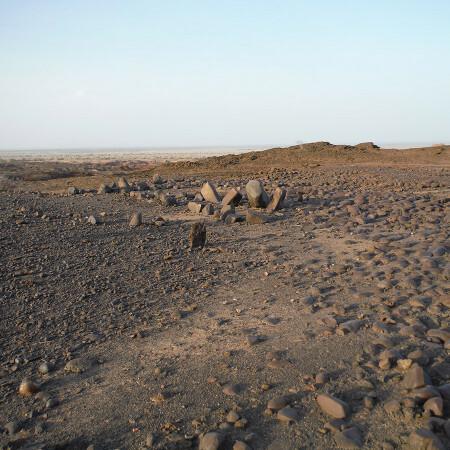 When aridity returned during the Middle Holocene (end of the AHP), major civilizations began to come about. 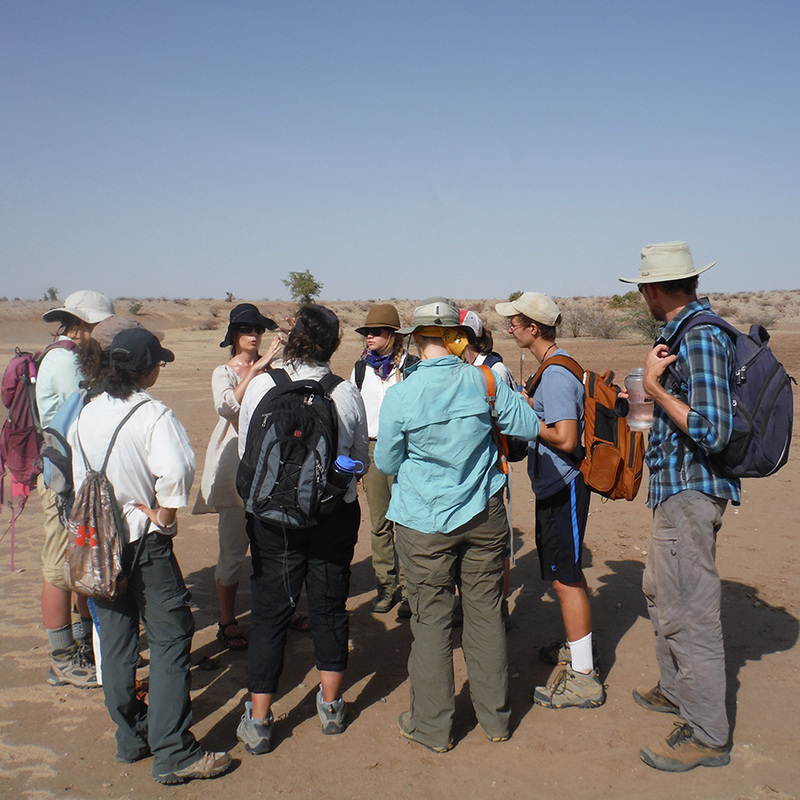 Humans’ transitioned from the early nomadic cultures to a sedentary life around a reliable source of food and water such as the Tigris-Euphrates, Nile, Indus, and Yellow Rivers. 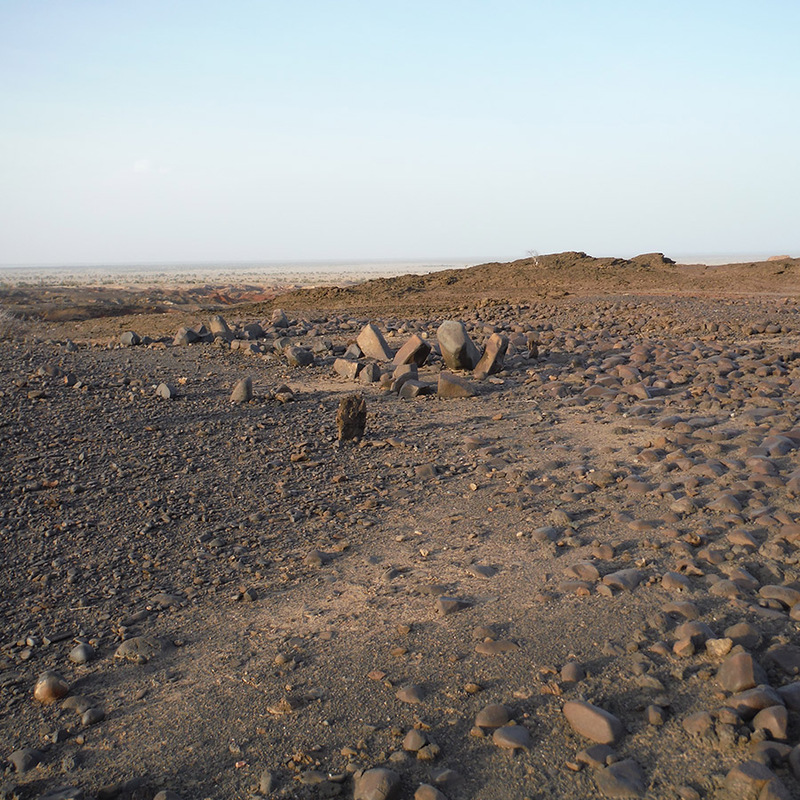 But in the Turkana Basin, permanent settlements did not exist till much more recent times. 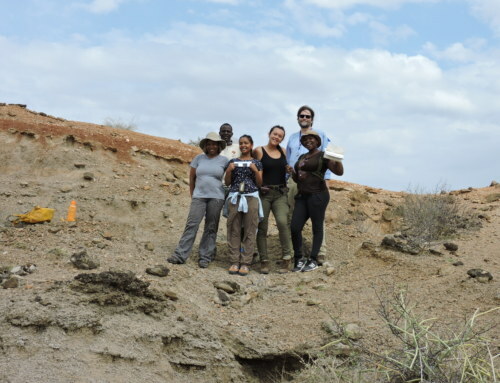 Unlike cultures that started agriculture before having cattle, work by Dr. Elisabeth Hildebrand and others indicate domesticated animals occurred in the Turkana Basin before cultivated crops during the Middle Holocene. Communities with domestic livestock spread from the Nile region to south as new tsetse-free browsing areas were formed. 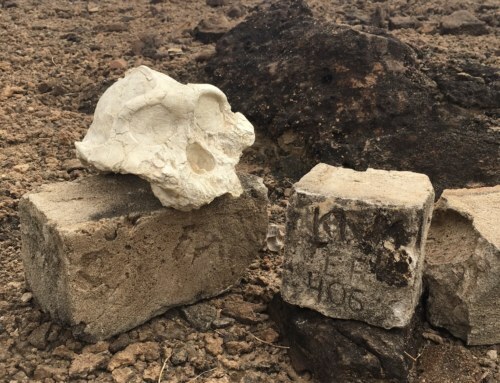 Around the same time, several cementaries with stone pillars were erected. 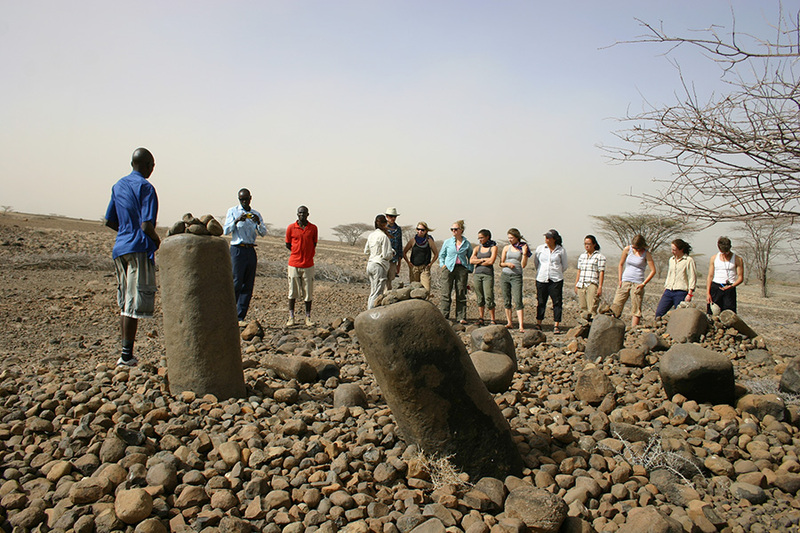 This may indicate the same communities with cattle also commemorated the deceased by erecting large 800 kg stone monuments. 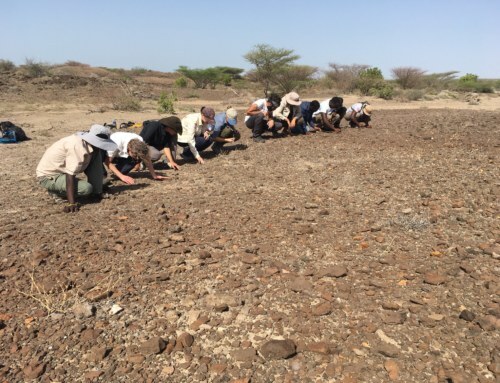 Below are pictures from several Turkana sites visited in the Archaeology module led by Dr. Sonia Harmand. 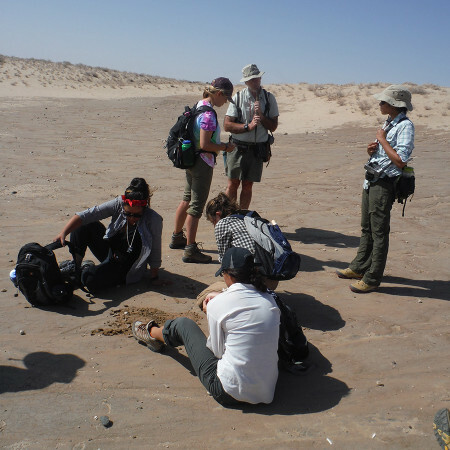 I have also included some pics from the geology module where students had also found Holocene artifacts. TBI students first archaeological field trip was a visit to the Aiyangiyang playa lake basin. 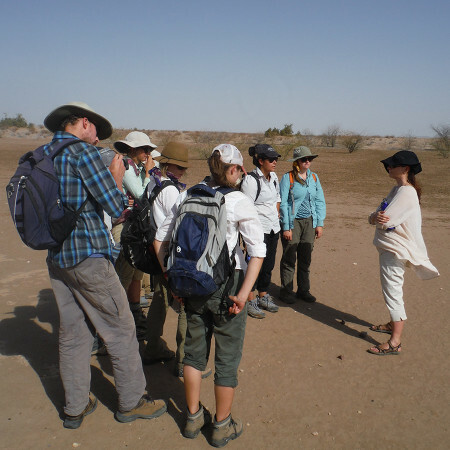 Dr. Harmand introduces students to flagging sites and carefully watching where they step. Dr. Harmand describes the shape of the artifacts and how these are quite different from Early Stone Age tools. 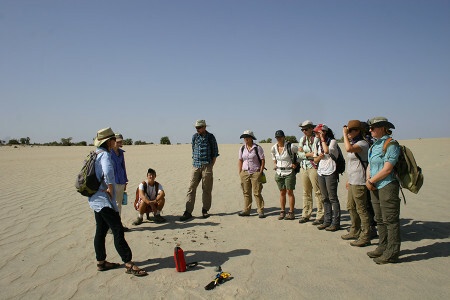 During the geology module, we also visited Aiyangiyang. 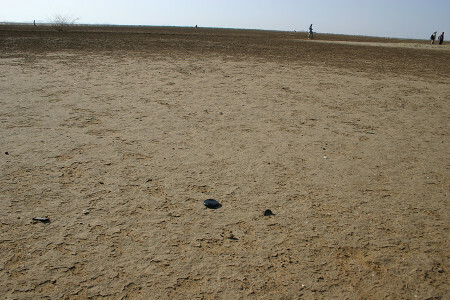 Unlike other playa lakes with salt flats, water drains through quartzofeldspathic dune sands and a clay pan forms instead. 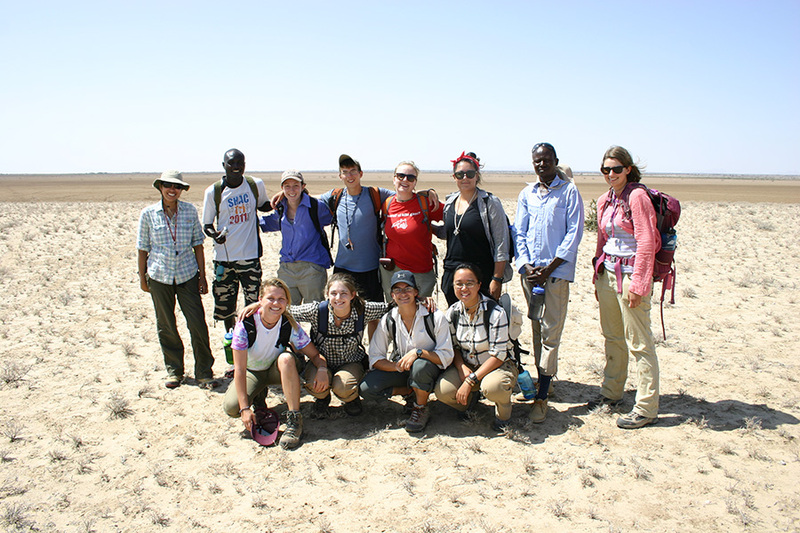 Here are more pics from that trip. Kate looks out onto the Aiyangiyang Basin. 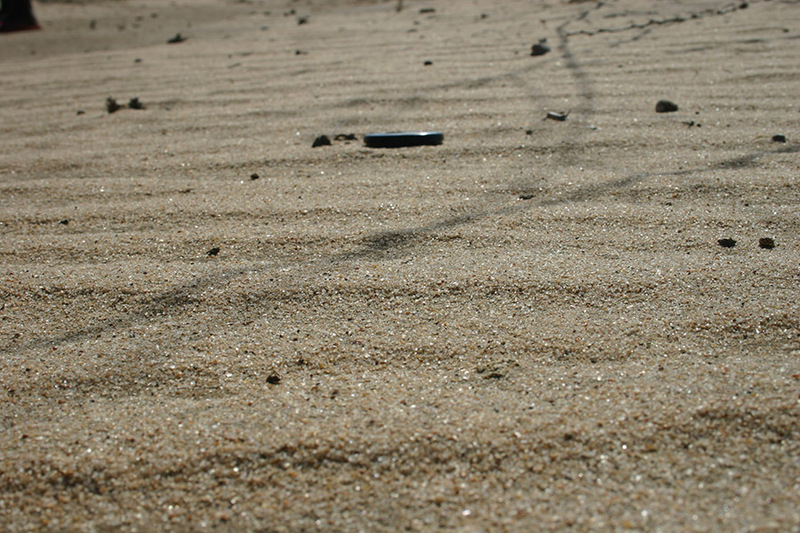 Dune sands at the edge of the basin. Aileen, Larisa, and Jayde found something! 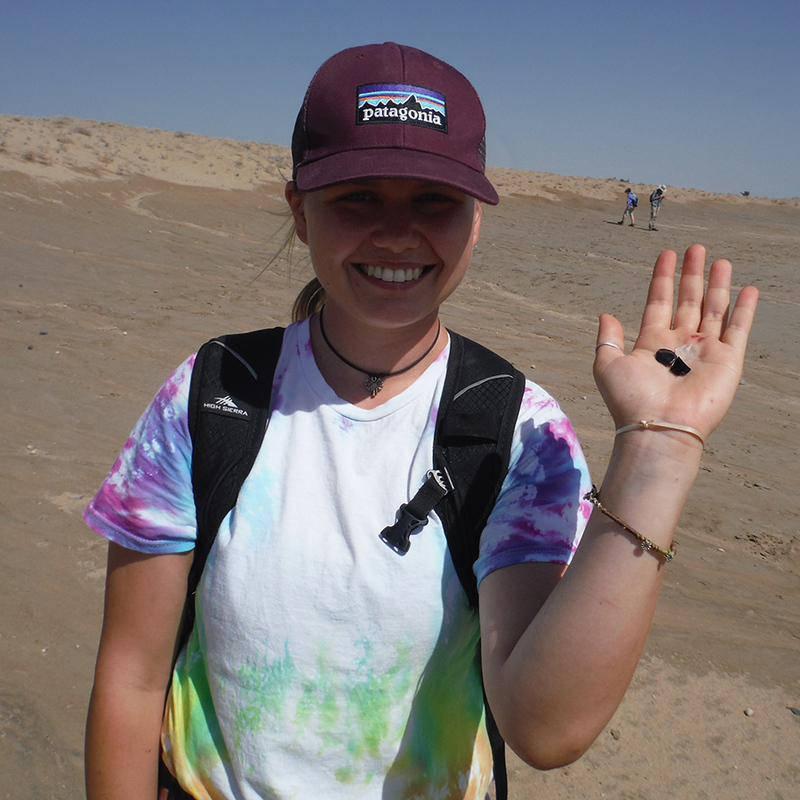 Rachel found some obsidian. 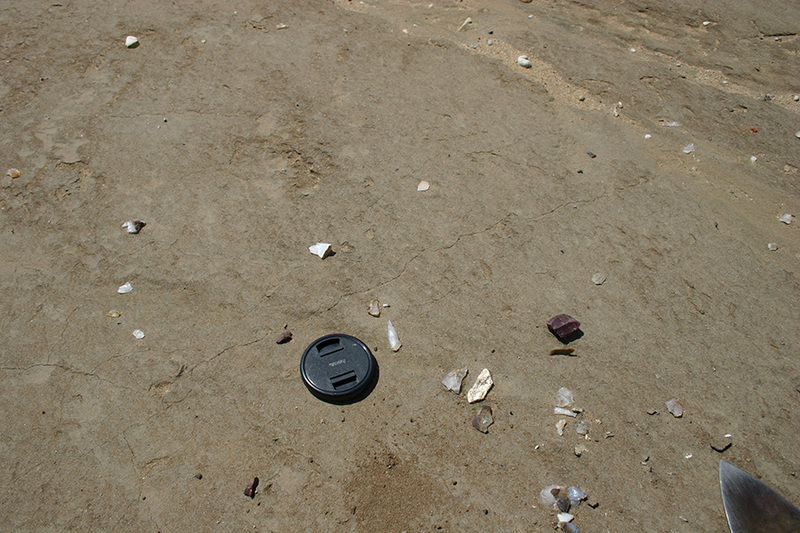 This is not a source material typical in the area and must have been carried here by humans. Closer look at the obsidian and a quartz flake. In the distance, another group found something! Jayde, Dylan, and Kate found a lot more flakes. Group pic at Aiyangiyang Basin during the Geology module. Dr. Harmand introduces the group to Namoratunga (GcJh3) pillar site located on the east side of the Lothidok hills, ~ 4 km from Kabua Gorge. For more information read Hildebrand & Grillo 2012. 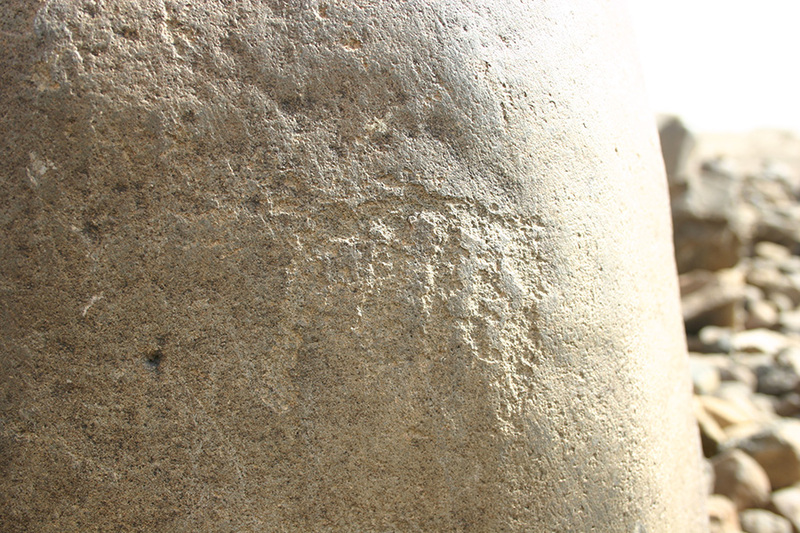 Petroglyphs on the stone pillars. Linda takes a picture of a broken pillar. This is horrible!! Dr. Harmand told us it happened sometime after her last visit in November. Who would do such a thing?! 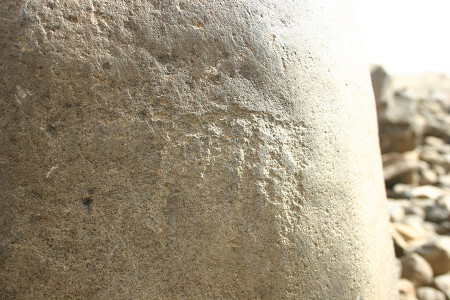 Lothagam Pillar Site (GeJi9), ~ 60 km away from Namuratunga. 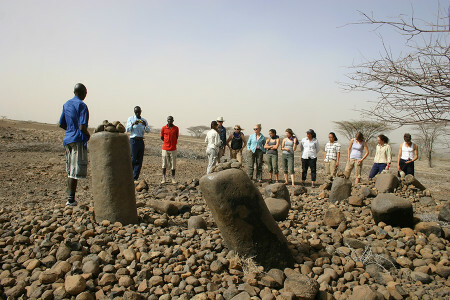 Napeget (aka Apeget) site near the modern Turkana lakeshore. 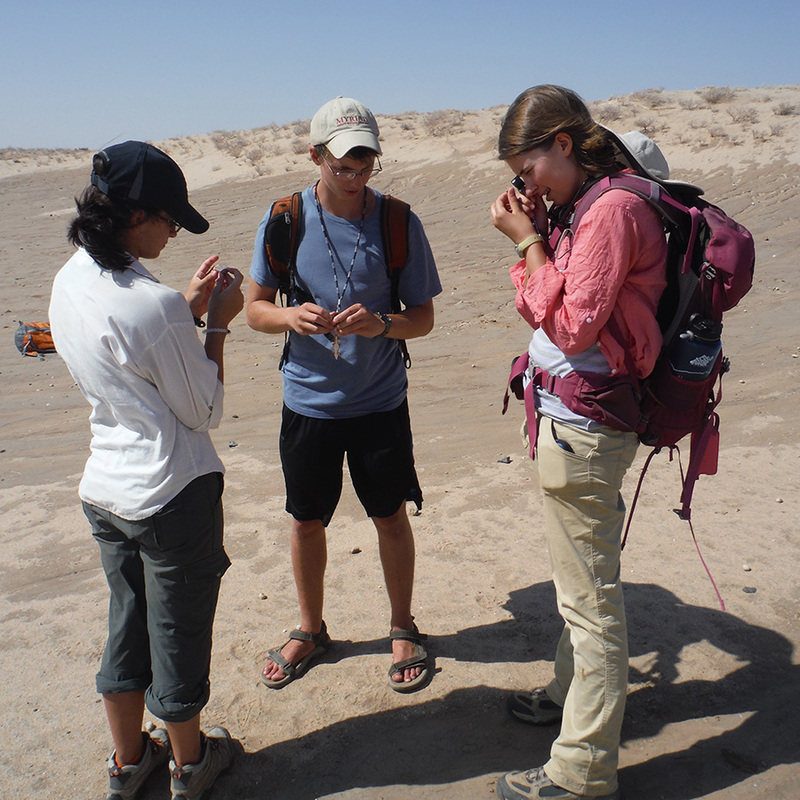 Dr. Harmand introduces students to pottery (undecorated) and flakes from the later Holocene. 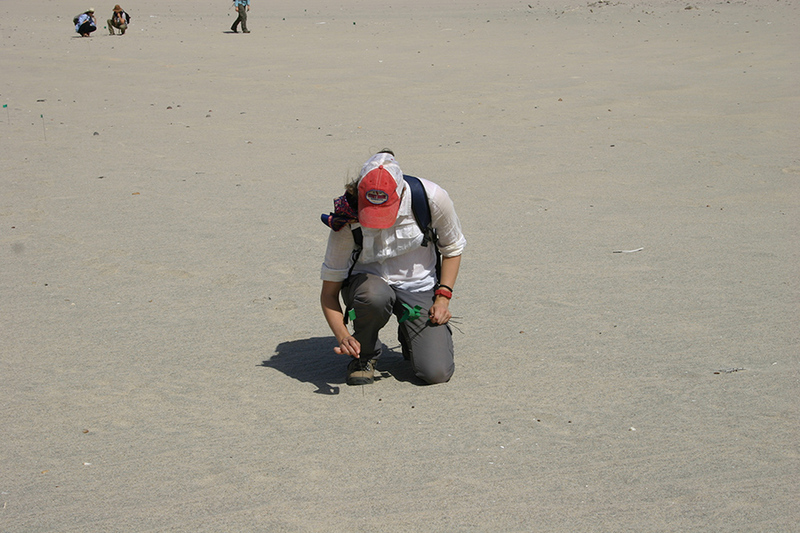 Survey line across Holocene lake margin deposits coated with wind-blown sand. Dr. Harmand is also part of the survey next to Rachel and Page. Larisa flags a small flake. Lunch time. We had a beautiful view of Lake Turkana from the top of the bluffs. 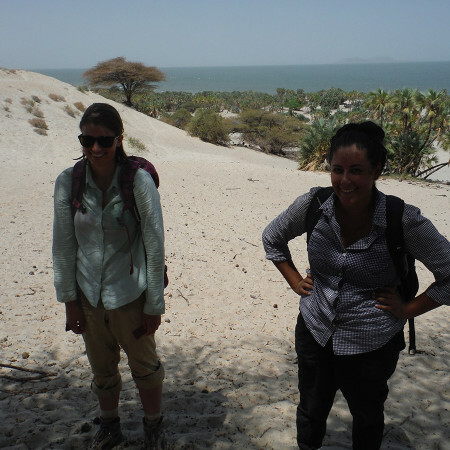 Kate and Aileen are ready to take a quick dip in the lake after a long survey day in the sun. 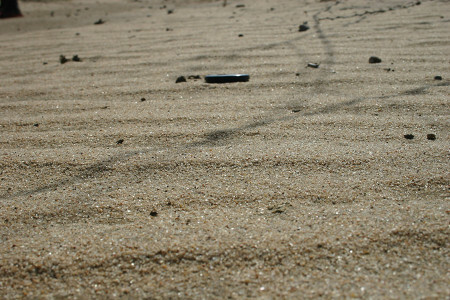 Unlike the undecorated pottery at Napeget, older pottery at Kabua/Kalokol (xxxx) and Lothagam have a wavy-line design. 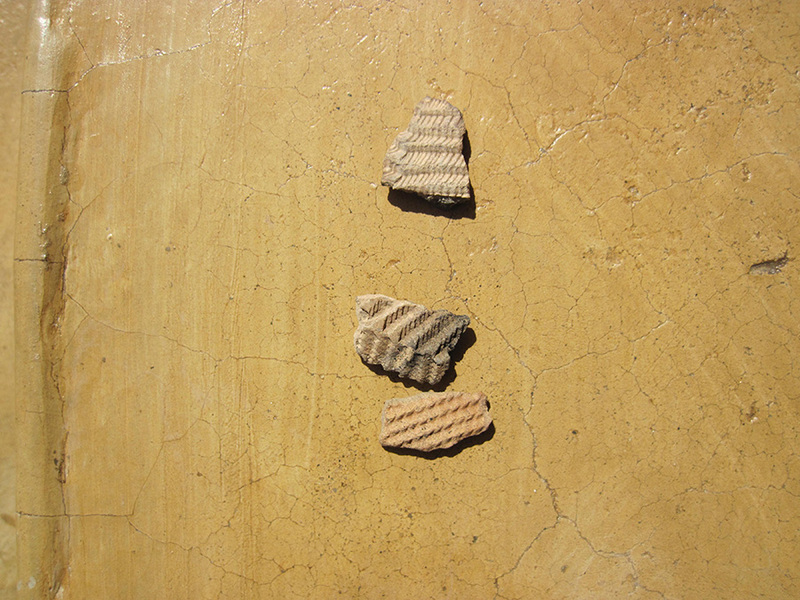 This image are artifacts at TBI that had been collected from previous excavations. For more information on this, read Robbins 1980 work on Lothagam, archeaology on the east side of the lake by Bartheleme 1985, and recent research at the Kalakol area by Beyin 2011. Bone harpoon point found by Page at Lothagam. 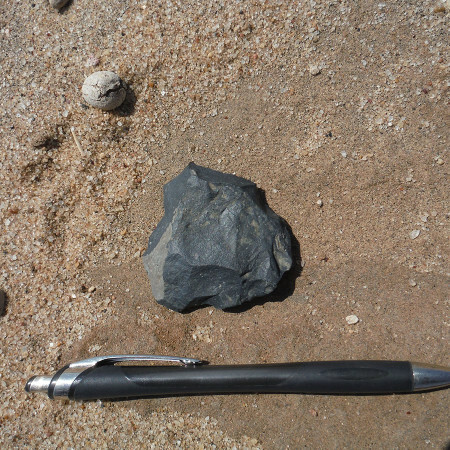 Another bone harpoon point found at Lothagam. This time by Anna. 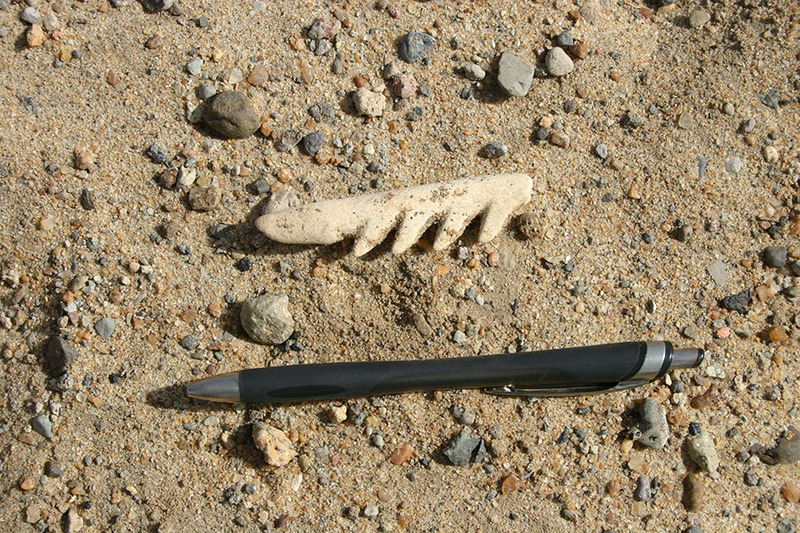 Barbed harpoon points like this are found at a number of occupation sites far from the modern shoreline.